Wildlife ACT along with Ezemvelo KZN Wildlife and the Endangered Wildlife Trust (EWT) Birds of Prey Working Group have made great efforts to conserve Mkhuze Game Reserve’s vulture population. 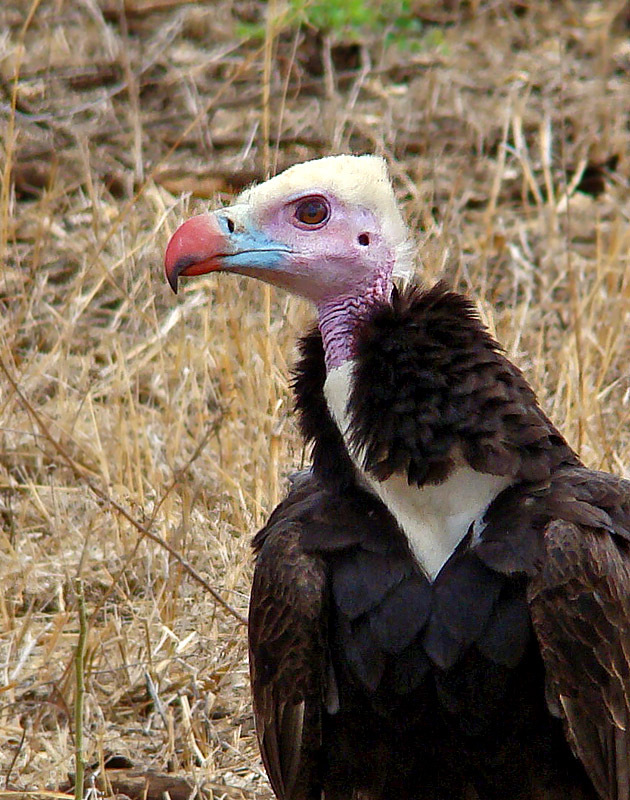 Vultures, throughout southern Africa are being targeted for medicinal purposes and meat. Poachers catch the vultures by poisoning animal carcasses such as a dead zebras or impalas. The vultures, having great vision, fly in from many kilometres away to come and feast. Mkhuze currently has a great vulture population and, on occasion, we have counted up to 50 vultures at cheetah and wild dog kills at any one time. This puts it into perspective of how quickly and easily a large amount of vultures can be poached. As scavengers, vultures are important members of ecosystems where they control disease outbreaks by keeping the veld clean of rotting carcasses. It can therefore be said that vultures, like hyenas, can be used to measure the functioning of the ecosystem. 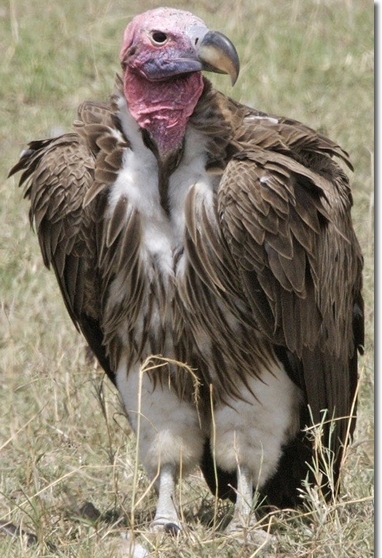 As man has developed though, vultures are now only abundant within protected nature reserves. It’s for this reason that reserves such Mkhuze are constantly putting more effort into ensuring the well–being of our vulture populations. 1. 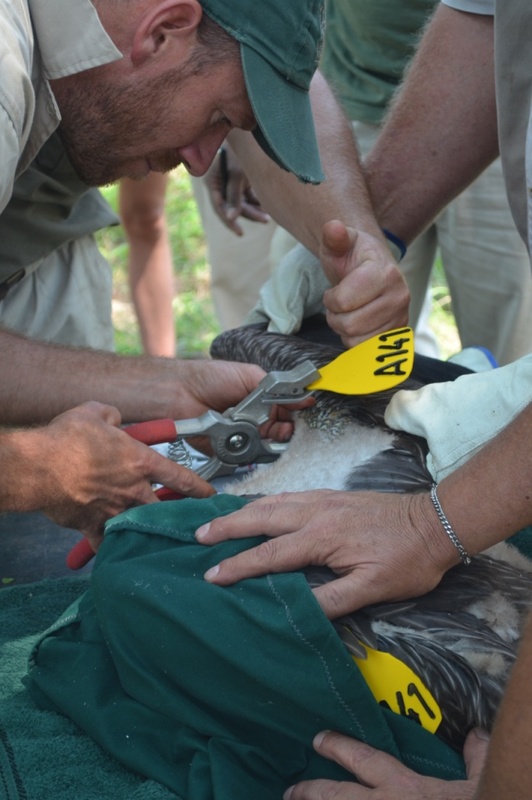 One of the conservation measures we have put into place is to tag the vultures. By doing this, Wildlife ACT and the Endangered Wildlife Trust (EWT) Birds of Prey Working Group are able to monitor their well-being as well as follow their flight paths. It’s for this reason why widespread publicity can also go far in conserving vultures. If tourists, neighbouring farmers or the public are able to report back on a tagged vulture, then we don’t only know its whereabouts but also that the vulture is still alive. 2. Our next step was to build a vulture restaurant. This is another term for a vulture hide where vulture counts can be done and recorded. By depositing a carcass in the early morning it begins to attract vultures. This is useful as you can identify the types of vultures that have come in and how many vultures there were in total. With a bit of luck, you might just see some of the tagged vultures and with this information, you know how far they’ve flown to get there. At Mkhuze, our last count attracted 22 white-backed vultures before a hyena came and dragged the carcass away. 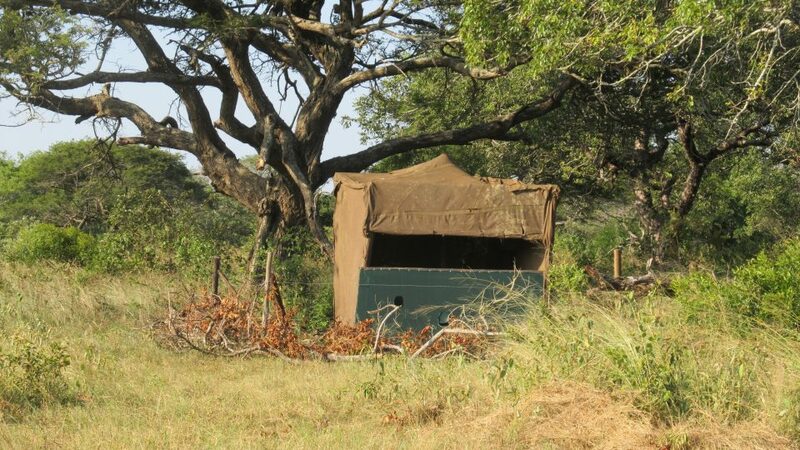 In the picture below is Mkhuze’s Vulture hide that the Wildlife ACT volunteers built. In the other photo, there are six white –backed vultures that had flown in to eat. By doing vulture feeding on a weekly basis, we are able to attract vultures away from potential poison sites and keep tabs on how well the vulture populations are doing. Unfortunately, vultures are given the stereotype image of the ‘bad guy’ that other creatures such as sharks and hyenas have. Despite what man thinks of them, we need to acknowledge their importance and take a holistic approach in defending vultures in Zululand. To do this successfully, we need to take a stand whether it’s spreading awareness, raising funds or volunteering your services to save these unique birds. 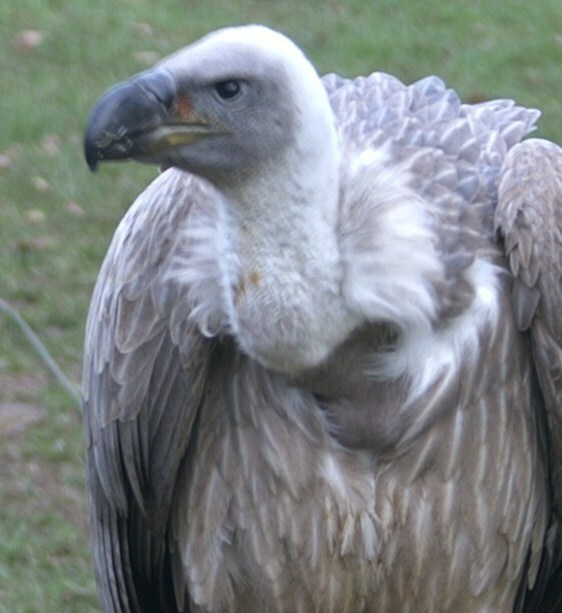 Why are Vultures so Endangered? 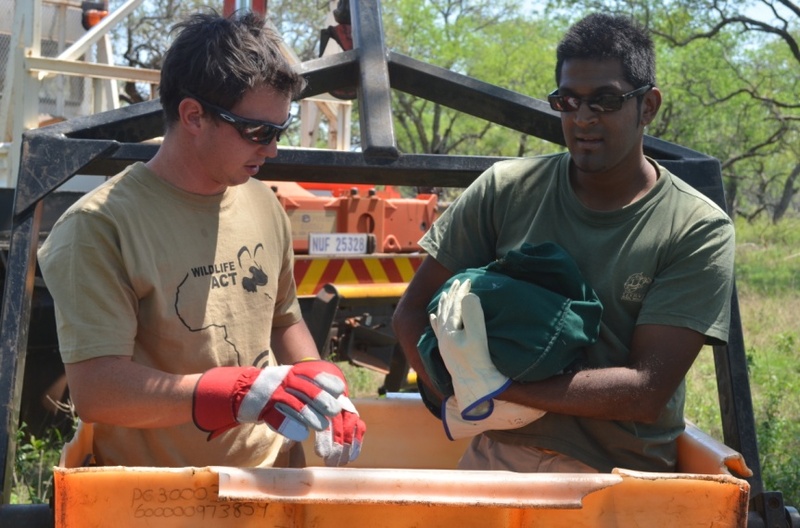 Conservation Update: VHF Collar Fitted on 5 Animals on uMkhuze!